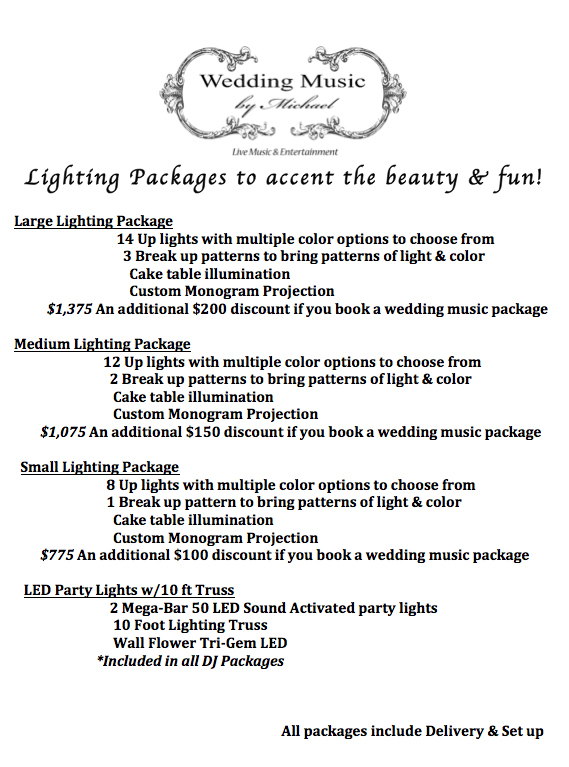 Important Information: All packages include a Professional Amplification System & up to 30 minutes round trip of travel from Folsom, CA. Additional travel time available for $50/hr travel time. 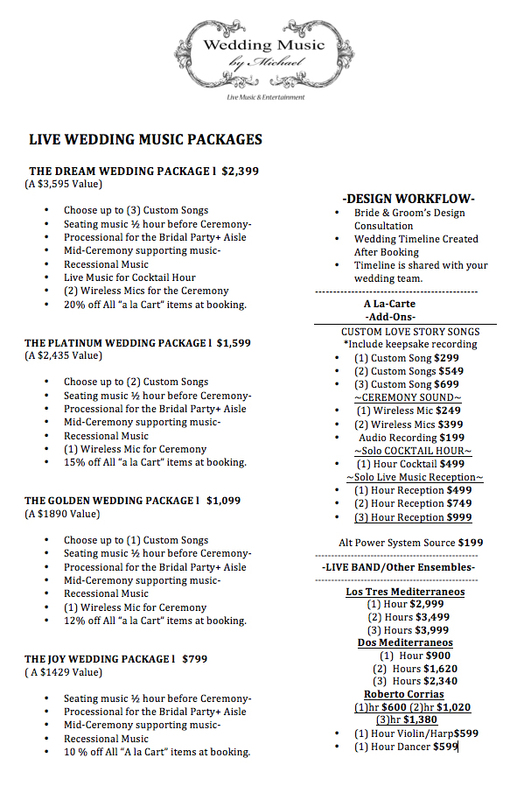 For Destination Weddings please include cost of airfare, & hotel accomodations. For wedding locations beyond 30 minutes travel including destination weddings, the additional cost of travel will be added to the Deposit to secure your date. Locations involving a 2nd setup location may be subject to an additional $99 charge. 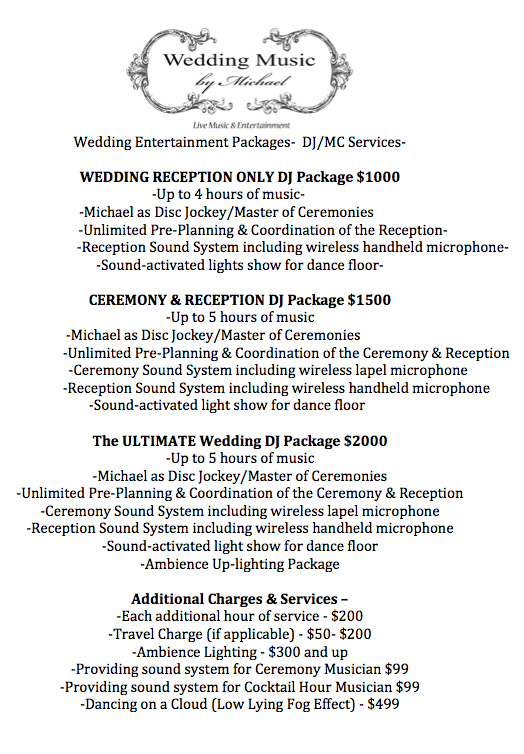 Weddings in which I am providing a sound system for other ceremony musicians who are not affiliated with Wedding Music by Michael will require an $99 charge per musician. Ask for a quote today! 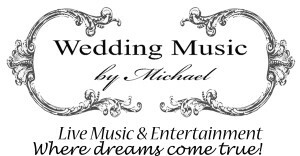 Classical, Spanish, Italian, Romantic, Love, Contemporary/Pop, Jazz, Blues, Flamenco & more!